Our annual Awards Night, held in the autumn, honors an internationally known guest who speaker on Latin American human rights issues. This celebration honors individuals and/or groups for their outstanding work in promoting justice and peace as well as a commitment to the mission of DJPC through the distribution of our Global Justice and Peace Award and our John Proctor Award, which goes to a dedicated DJPC volunteer . This is a time when we celebrate what the DJPC has achieved over the previous year and honor the work of others outside of the organization, as well as an opportunity to gather and build community. This year we are recognizing the outstanding achievement of ACODET (Association of Communities for Development and the Defense of Land and Natural Resources) is a grassroots coalition of indigenous communities spanning three departments in Guatemala’s rural Ixcán region. For over a decade, ACODET has successfully organized to halt the construction of the proposed Xalalá megadam, which if constructed would displace multiple campesino communities, the majority of whom are indigenous Maya. 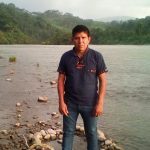 The proposed hydroelectric project was suspended in 2014 by the Guatemalan government, but threats to the environment and community remain; national and international companies continue to seek ways to push people off the land and exploit nature for profit. Today, ACODET monitors mega-development projects that continue to threaten their territory and works to strengthen equitable and culturally pertinent organizational leadership through popular education initiatives with ancestral authorities and women’s committees in each community. 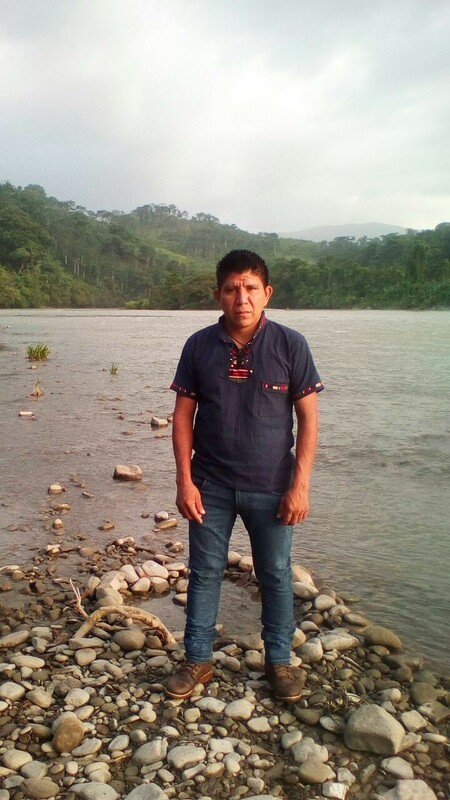 We have invited José Gómez to speak about their struggle to protect land and water, cultivate indigenous leadership, and build community power in the face of harmful corporate and state-led megadevelopment. Free parking on church lot. This is a family event where we welcome all ages. In the spirit of breaking bread we invite you to contribute a dish to our pot-luck. 2017: National Roundtable Against Metallic Mining (Mesa Nacional Frente a la Minería Metálica), a campesino-led movement in El Salvador. In March 2017, the Roundtable won a historic legislative victory by securing a prohibition against all metals mining in perpetuity. For a land-poor country with vulnerable water sources and significant rural population that would be displaced by mining, this was an unexpected and unprecedented accomplishment. To relate the story of the movement and the details of the legislation, our guest speaker was Ms. Vidalina Morales leader in the National Roundtable. 2015: Aviva Chomsky Professor of History and Coordinator of Latin American, Latino, and Caribbean Studies at Salem State University, Massachusetts.Author and Activist on many Latin American issues, including mining and immigration. 2013: The Network in Solidarity with the People of Guatemala – NISGUA, links people in the U.S. and Guatemala in the grassroots global struggle for justice, human dignity, and respect for the Earth. Formed at the height of Guatemala’s war in 1981 NISGUA’s network today is comprised of thousands of people across the U.S. who to demand justice for genocidal crimes of the past, push to change current U.S. policies, challenge corporate-led development in Guatemala, and advocate for grassroots alternatives. Thank you for visiting this page: More updates coming soon!